After 54 years in business we are the most experienced Garage Door Opener Repair Service in the Inland Empire. We offer 24/7 emergency service and free estimates, so call today! Sometimes when a garage door fails to open, the problem could be a broken spring. Our main goal is to make sure you are extremely satisfied with our work! We understand that without you, the customer our business won’t be able to survive. That’s exactly why we work so hard to satisfy each one of our loyal customers. We promise, you will be 100% happy working with us! Call us for immediate Garage Door Springs Replacement service. The torsion & extension springs that our specialists utilize are always premium quality. We are known for offering great warranties on all of our work. Our specialists will definitely get your garage door functioning like new once again. We will help you choose the right options for your specific needs and budget. We will install the opener that best fits your situation and ensures you have the right opener installed in a professional manner to extend the life of your door. Our specialists install and fix every last model, brand name or make and only provide the best quality models in the marketplace. We carry sensor eyes and keypads as well. We have the best residential garage door openers for any budget. Just like the products we sell, our service is first class. From our inspection and installation to clean-up and haul-away. We take pride in every phase of the process. 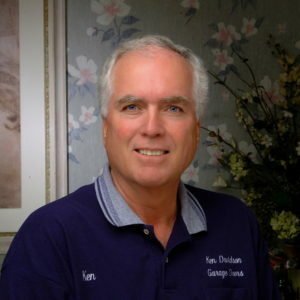 Ken Davidson Garage Door Repairs offers a variety of garage door openers. We also provide garage door opener repairs on all brands. We have openers for every residential application. 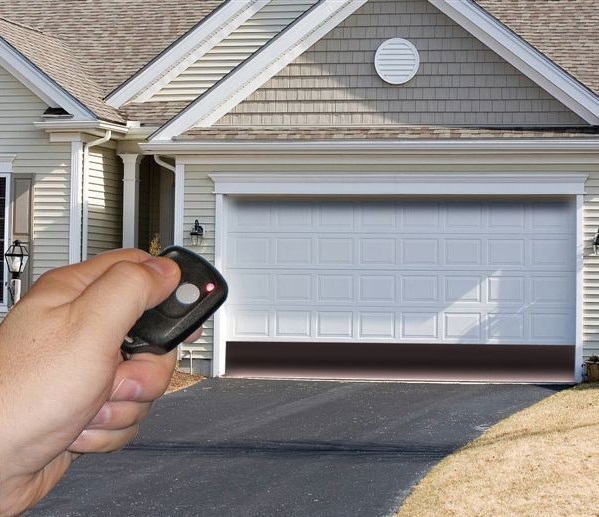 A garage door opener can save you time and hassle! It increases the life or your garage door. It can increase the value of your home and it greatly improves your security. Garage door opener repair is always the first choice but when you are ready to remodel your home, buying a new opener is a great option. All models come equipped with a sensor that can stop a closing door if something is in the way. It makes the garage a safer place for children and pets. We Proudly Accept Personal Checks and Cash! Drive, Repair/Replace, Opener Belt Drive and Opener Adjustment. Torsion bar, Door and panel replacement Panel, Tracks, Weather Stripping, General maintenance, Off Track Garage Doors, Roller Out, Broken / Snapped Cable and Pulley & Cable replacement. If your garage door opener breaks down, call us. Before we install a new opener, we will ensure your door is in perfect working order. If it’s not, the new opener could be damaged. This opener mounts to the wall beside the garage door. It frees up ceiling space that can be used for additional storage. It is a perfect solution for low and cathedral ceilings. This direct drive opener is extremely quiet with little vibration. This Belt Drive is is almost as quiet as your living room lamp. With a 3/4 hp motor it is extremely durable. Extremely low vibration makes it the choice if you have rooms above the garage. You will no longer wake up your kids when you leave for work. Screw drive garage door openers require no maintenance. They are designed to run smoothly and quietly in any climate. They come with 1/2 HP motors. The industry standard for garage door openers. Chain drive garage door openers provide rugged reliability and great value.The 8550W with MyQ Technology now comes with Wi-Fi. You can monitor and control of your opener with a device. Download the app free. 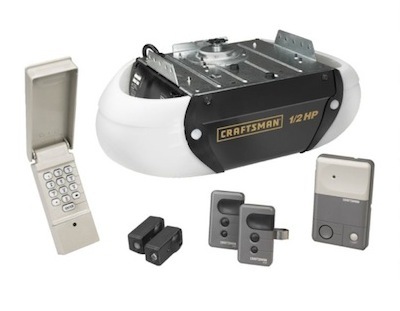 All Liftmaster openers have the new rolling code technology. 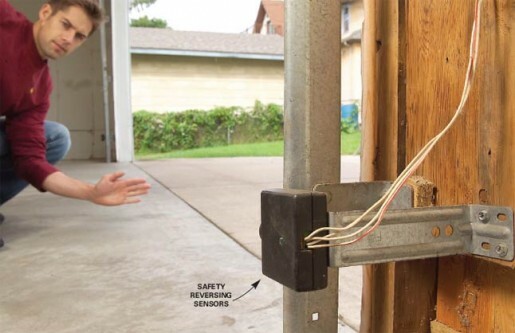 Criminals are now unable to grab your transmitter signal and open your garage door. The code changes every time you use the garage. Forget to close your garage door? Set the timer to close it.